This giveaway will end June 18th at Midnight EST. I would like to try the Five Section Nut Basket so I can sample a little of everything! I would love to try the Boston Baked Beans. I'd like to try the Delicious Southern Pecan Pie. Roasted Jumbo cashews. I can make cashew butter. I'd get the Raw Organic Cashews...they're great in oatmeal. I would like to try the Five Section Nut basket. I would want the Roasted Jumbo Cashews Gourmet Tray. I'd love to try the pecan pie! I would love to try the Chocolate Covered Sunflower Seeds. I'd like a Southern Pecan Pie! 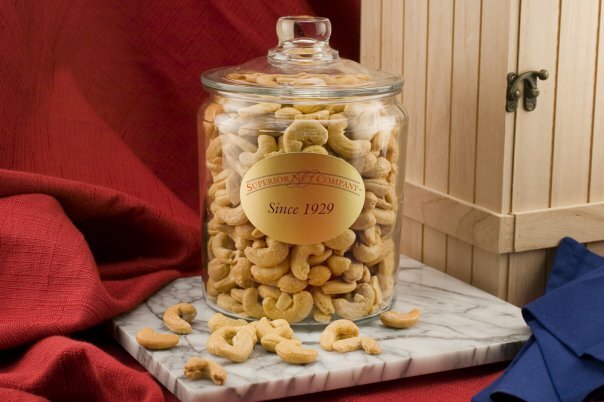 I like the Giant whole cashews! I would love to try Almond Butter Crunch, Item #: 15007. I'd love to have Jordan Almonds and Butter Toffee Pecans. Thanks for the giveaway. I would get the Colossal California Pistachios Gift Box for my hubby - 'cause he loves them! The Milk Chocolate Covered Macadamias sound awesome. I want to try their pistachios.